The question surprised me. No one had ever asked it with such curiosity. It hadn’t dawned on me that everyone didn’t know. But if he knew what it meant he didn’t let on. “What is impact and why does it matter?,” he asked. Great questions are powerful. Our minds once challenged with a question never retreats to its previous state. To wrestle with a question about what impact is and why it matters can change the direction and trajectory of our lives. It’s that time of year—annual review time! Auditors and accountants have created an industry out of it. For the next few weeks, employees and managers will engage in the ritual of year-end reviews. News media will pour over their coverage and create their “Year in Review”. Even Facebook will create a personalized year in review for you. It’s easy, simply push a button and your social media will be decorated with hats, bells, whistles and confetti. Why would you make a change when things are going well? Who would think it good advice to abandon something in the midst of success? A good thing is a good thing—right? It would be foolish to jump ship or change course when the view and the forecast looks perfect. But is it? What about impact? Who thinks more is better than less? More impact is better—creating positive change for the people you love and lead. When you look at people who possess the capacity for greater impact you find they consistently do one thing and do more of it. No special tools or training required! You’ve met it. It may have defeated you—maybe still defeating you. 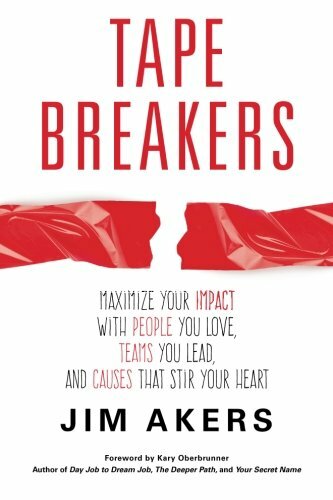 It is a constant companion of anyone who dares to run the courageous race—to pursue impact that positively impacts the important people in their life. It does not discriminate—it hates all dreams and pursuit of meaningful impact. It doesn’t care about your talent, circumstances or condition. It is a force that stands between you and the starting line of the dream that stirs your heart. It is the blow that deals defeat and pushes you to curb when the finish line is in sight. Turning the calendar to a New Year is always filled with anticipation. But there is nothing amazing, magical or powerful about turning the calendar to a new year. The reality is January 1 is just another day. And 2016, for most people, will be just another year. One thing about the future is certain—if you don’t think about it you can most certainly plan to be disappointed by it. One thing about new year resolutions is certain—92% of us failed to achieve them last year. January 17 is known as “Ditch New Years Resolutions Day!” Yes, January 17, 2016 has been officially identified as the day to celebrate abandoning our New Years resolutions. Do you realize we are much more likely to come to the end of our days with a longer list of regrets than achievements? Over the course of our days, big dreams and long-term goals commonly get pushed aside and resurrect themselves as regrets. Charles Hummel wrote “Tyranny of the Urgent.” The tyranny of the urgent simply says we live in constant tension between the urgent and the important. Is there a right or wrong way to write a goal? The answer is a resounding yes. It all starts with understanding why you could become confused at a green light. My fascination with success and achievement has led me to attend a lot of seminars and workshops over the years. In 1984, I was sitting in a packed auditorium listening to Denis Waitley and Zig Ziglar speak.